No need for a lock on this awesome diary! Personalize your charm jewelry and show off your love of journaling with this fun CHARM IT! My Diary charm. 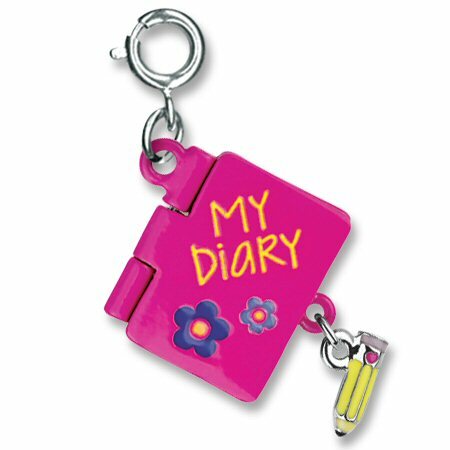 Featuring a 3-dimensional diary of fashionable magenta enamel that actually opens and closes, there's no doubt about ownership as the front boldly declares "My Diary" in yellow enamel letters above pretty purple and blue enamel flowers. Open it up to find two special messages just for you - I Heart You! 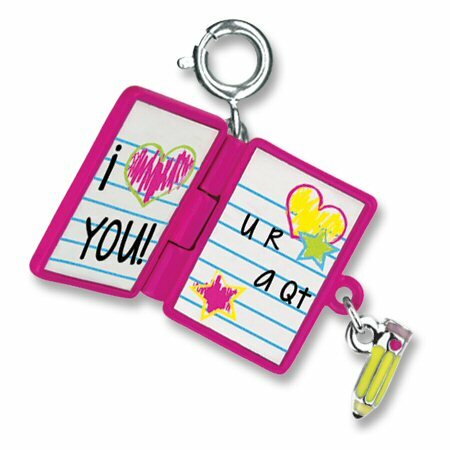 (I Love You) and U R a Qt (You are a Cutie) - on the lined notebook pages. And to top it off, dangling from the side is a yellow enamel pencil, the perfect pairing for the perfect diary.